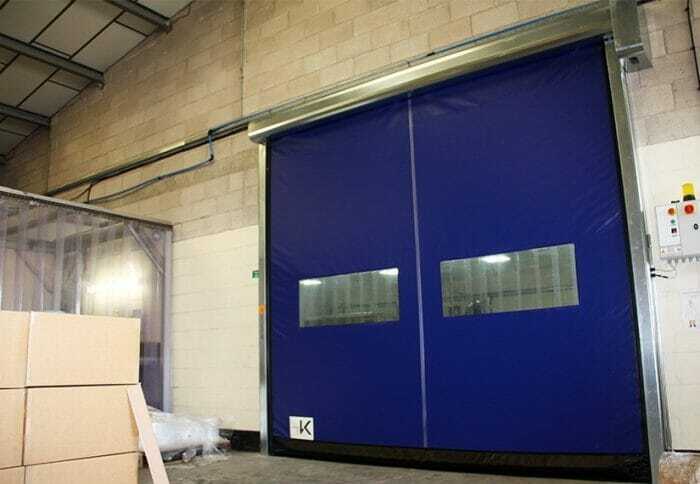 A Rapidor Impact speed door was the perfect choice to improve hygiene and temperature control for this medical sachet manufucturer in Flintshire. Walters Houghton is a specialist manufacturer of medical sachets. The company is based in Flint, North Wales and operates a variety of specialist machinery to produce high-grade products. Walters Houghton is recognised for manufacturing excellence and has clean room class 10,000 facilities. The company takes hygiene, safety and worker comfort very seriously. 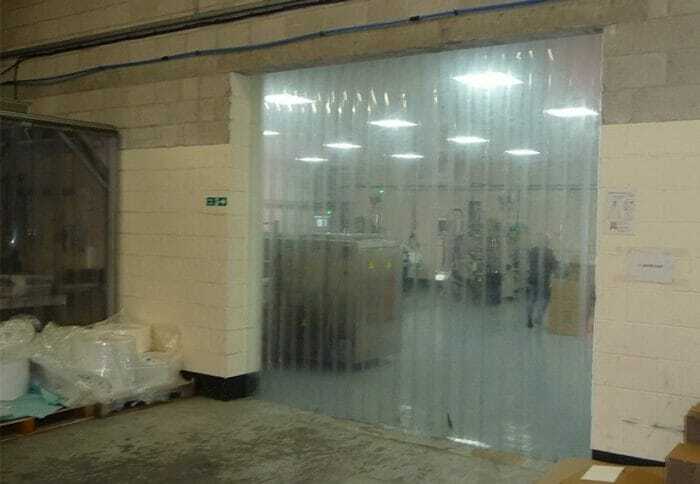 And internal opening between the warehouse and sterile manufacturing environment was fitted with PVC strip curtains in order to provide hygiene and temperature segregation. However Walters Houghton felt that this did not provide the level of image and quality which they wanted to portray. 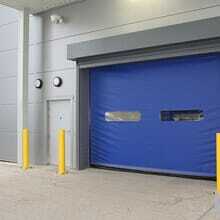 Additionally the opening experienced a high level of through-traffic from pedestrians, IBC's and pallet-trucks. Following a request from the client, Tekta visited site to survey and discuss the challenge with the client's Financial Director. 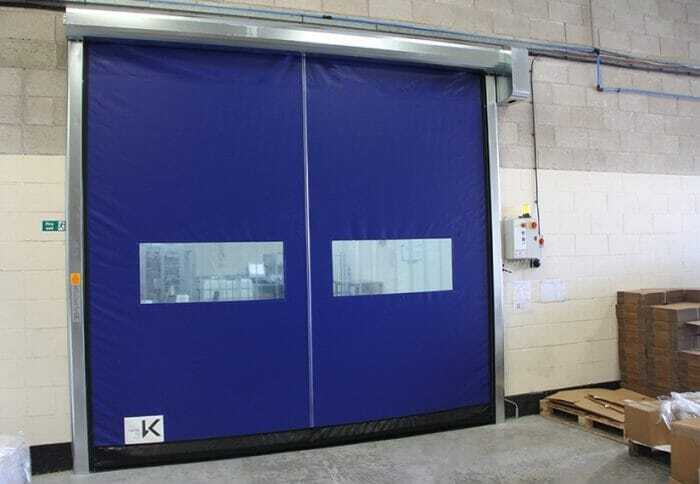 The client had considered several door types including sliding hygiene doors, however Tekta made the suggestion of a Rapidor Impact speed door. This provides the benefit of not only a good seal and clean image, but also offers safe and user-friendly operation. Walters Houghton have been very pleased with the performance of the door and how it has improved their hygiene and temperature control. 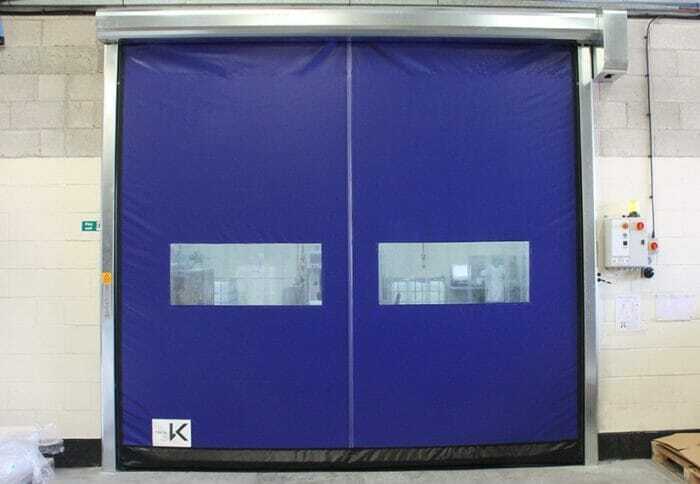 The high speed operation also allows traffic to flow through the opening easily to enhance productivity.